The wind followed us across Texas yesterday, and decided to stay for the night! We are learning that the weather in this part of the country can be fierce and variable. For example, it was 90 degrees and sunny yesterday afternoon, but is just 46 degrees mid morning today. We are staying put this morning to wait out the high winds, which should subside by noon. We set up camp in the north section and settled in for the afternoon. The wind settled down in late afternoon and early evening, allowing us to get our bearings and see some of the North unit of the park. 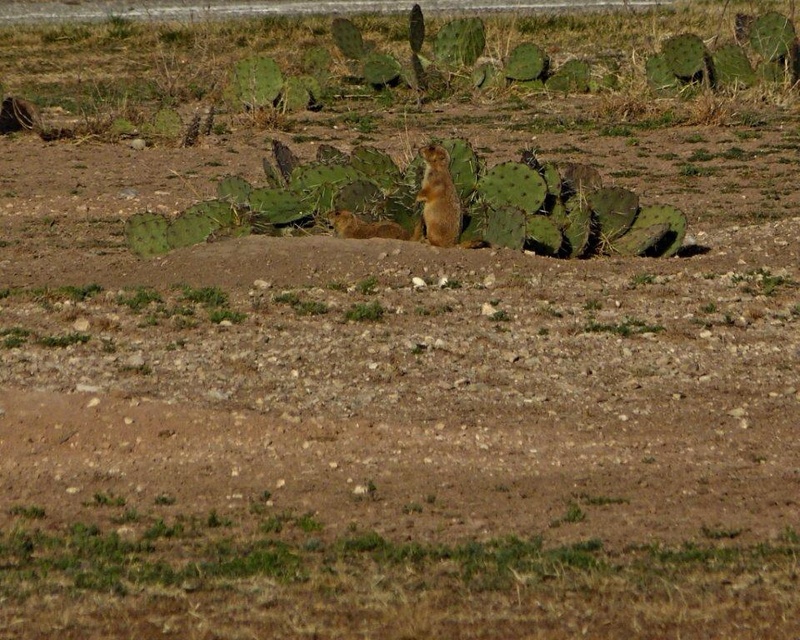 Prairie dogs near our campsite. After supper we sat outside and watched the sun vanish over the prairie. 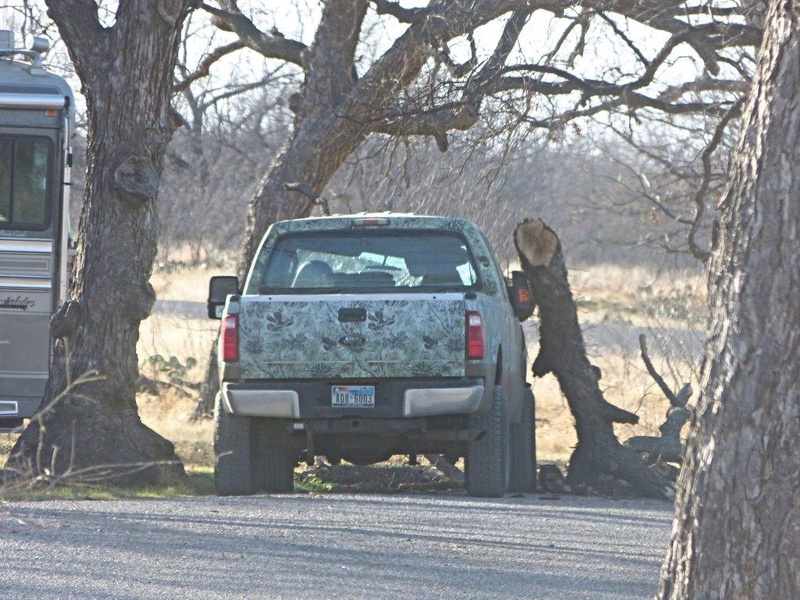 We camped in a grove of pecan trees, which proved problematic later that evening when the wind started up again. By the time we watched the 10 o’clock news the weather forecast was predicting 40 mile per hour winds with some reported gusts as high as 58 miles. Almost hurricane force, so we looked at our site with the over hanging trees and decided to move to a nearby park parking lot without any trees. This took a few minutes and we then pointed the nose of the camper into the wind and kept our slides in so as to minimize area for the wind to catch. We feared that if the wind hit us broadside the camper might tip over! Of course, we second guessed our decision to move out of the trees until we drove back this morning to find a tree limb had hit a neighboring camper’s truck. This post has rambled on long enough, tomorrow’s will highlight the natural wonders and wildlife viewing at this really neat state park. Very wise decision to move away from the trees! Glad you are safe! 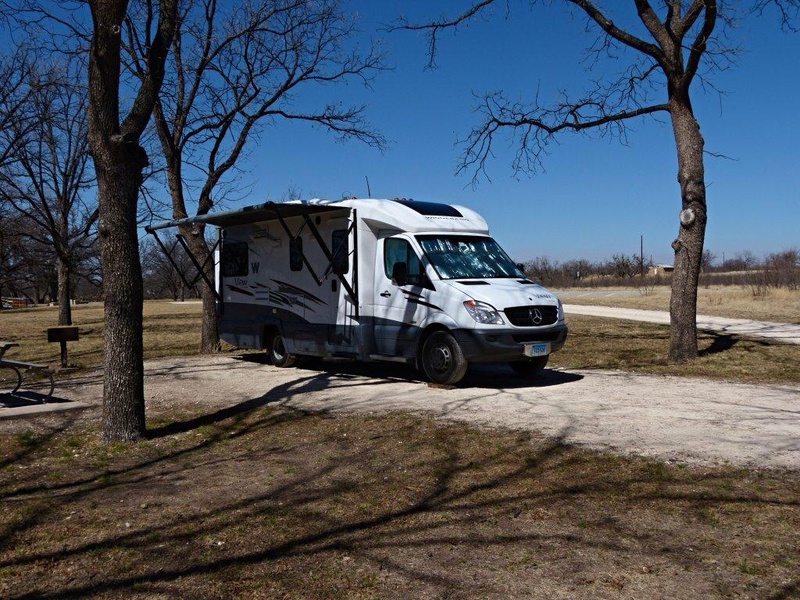 Looked up San Angelo State Park on the map and trying to predict the next stop.